Video replay of the entire creative process. 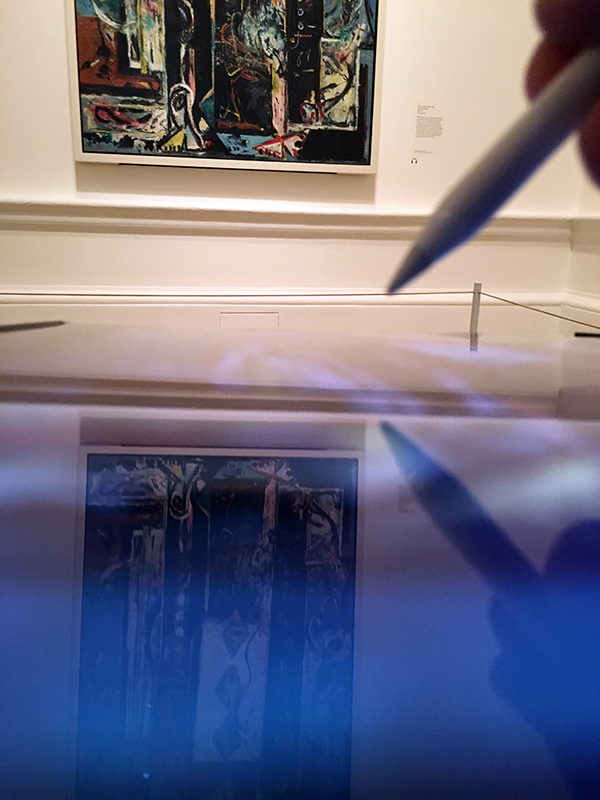 I created this iPad drawing at the Abstract Expressionism show in the Royal Academy, London, based on observation of the painting “Male and Female” by Jackson Pollock (c 1942 – 43). I used an iPad Pro, Apple Pencil and the app Procreate. (If you’re interested to learn how to draw and paint using this amazing combination of tools, I am teaching an “Inspiration From the Masters” iPad Art Workshop in San Francisco, April 28th to May 1st, 2017.) 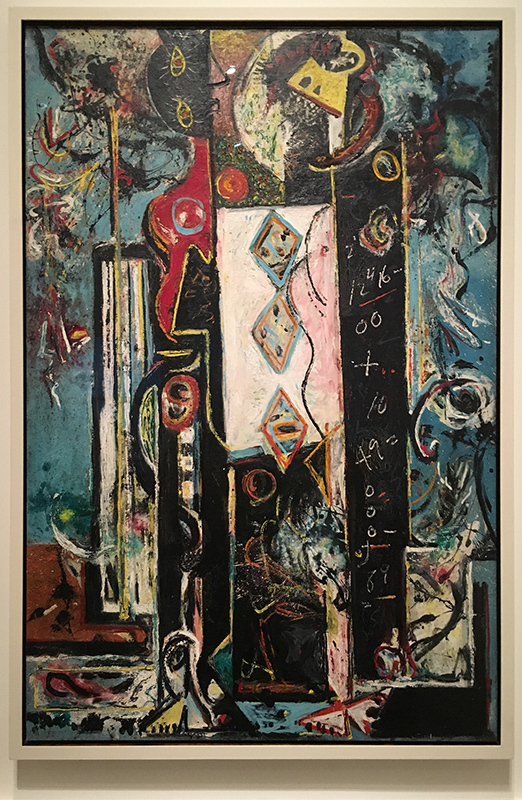 This Pollock, whose permanent home is the Philadelphia Museum of Art, reminded me of Pablo Picasso’s The ThreeDancers and Three Musicians. When I saw the painting that inspired this sketch, it kept drawing me back to look at it closer. The show is well worth visiting if you are in London (along with the Picasso Portraits at the National Portrait Gallery). 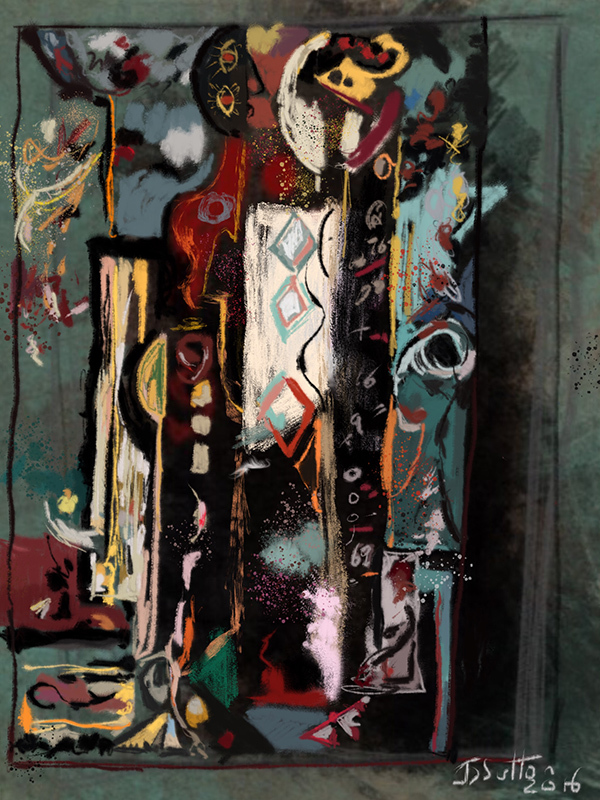 It mixes key pioneer abstract expressionists with fab David Smith sculptures.